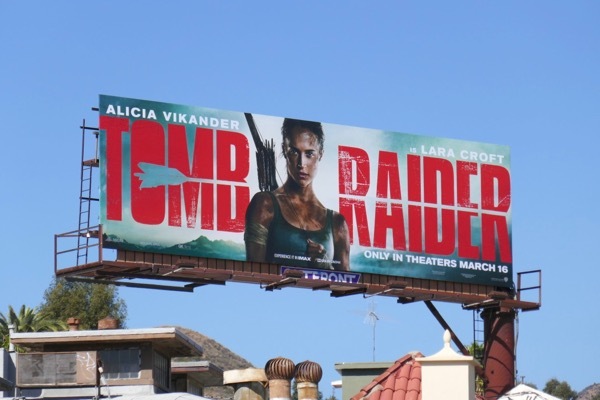 This March Alicia Vikander reboots the Tomb Raider video adventure game-turned-movie franchise as 'Lara Croft', following in the daring footsteps of Angelina Jolie in the 2001 adaptation and the 2003 sequel. 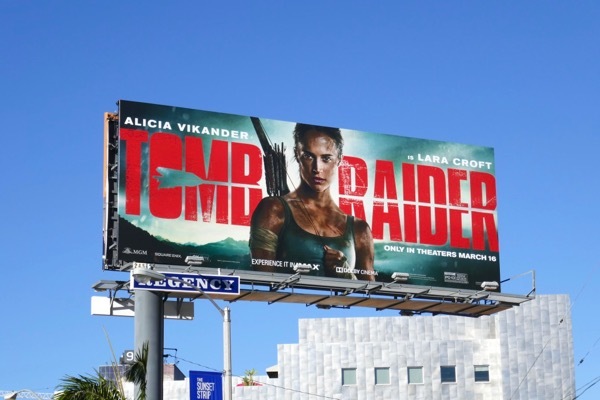 In this new movie, seven years after her eccentric adventurer his gone missing Lara goes on a quest to uncover the secret behind his disappearance, unlocking puzzles, tackling death-defying obstacles and piecing together bits of the mystery to stop an organisation called Trinity from unleashing global genocide. 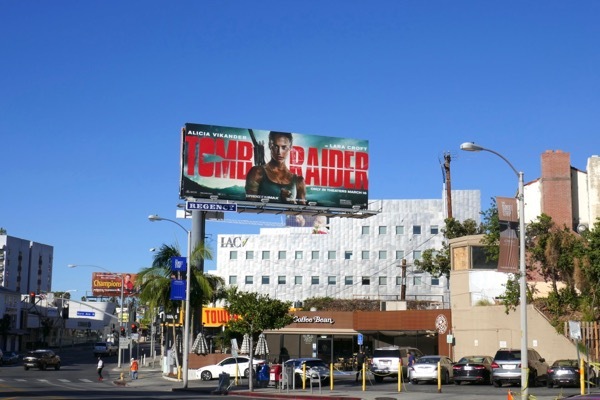 These Tomb Raider billboards remind Daily Billboard of the colour scheme used in The Walking Dead season eight billboards and were snapped along the Sunset Strip, Cahuenga Boulevard, La Brea Avenue and Melrose Avenue from February 19 to February 28, 2018. 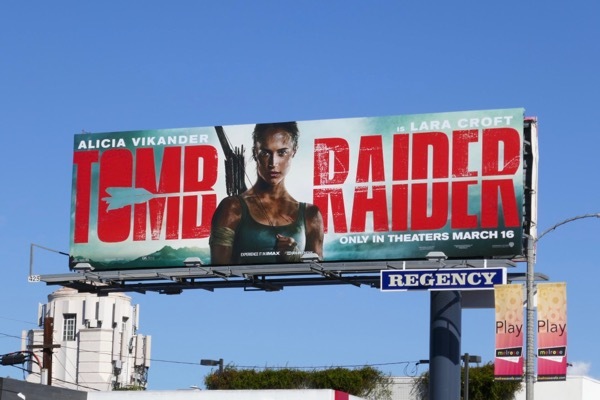 Fans of Lara Croft can also enjoy these Tomb Raider video game billboards, including a 2,000 pound jeep suspended in a stunt installation above New York's Broadway in 2016. You can also check out these original costumes and props from Tomb Raider on display. 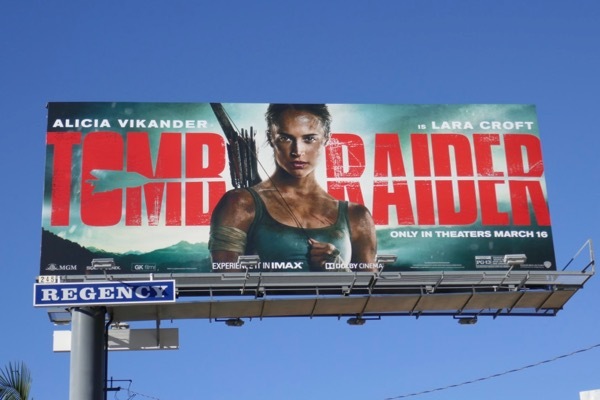 Plus for more video game movie adaptations, make sure you also check out these Prince of Persia movie billboards, these Hitman: Agent 47 billboards and these Assassin's Creed movie billboards. 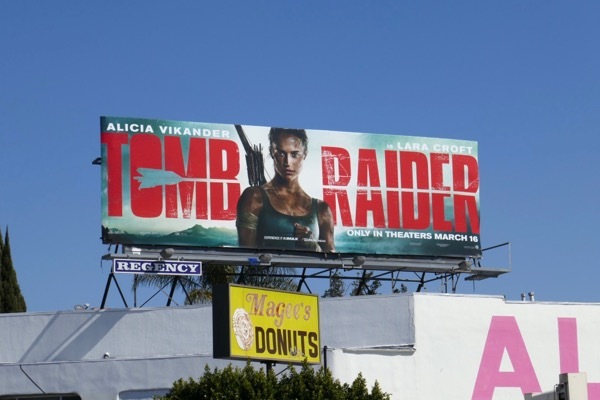 Welcome to the franchise Alicia, grab your bow and arrow, solve all the clues and let's hope you survive the experience. 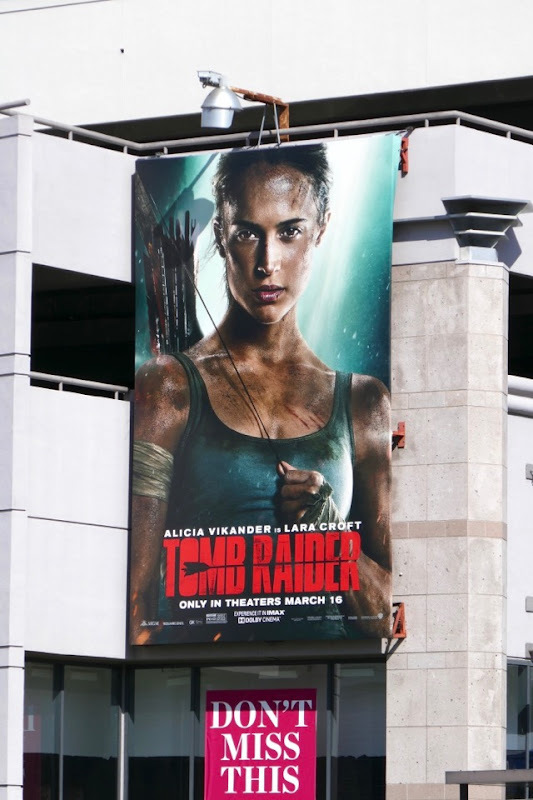 UPDATED: Here's also a portrait version of this ad creative snapped at the intersection of La Cienega and San Vicente Boulevards on March 9, 2018.